White House Press Secretary tells reporters no decision yet on when to move US embassy to Jerusalem, talks in early stages. The Trump administration has yet to decide on when to move the US Embassy to Jerusalem, its spokesman said. On Monday, Sean Spicer, in his first Q&A with reporters as White House press secretary, said that President Donald Trump had not yet made a decision about the embassy move. Finally, a third reporter asked Spicer whether he meant there was no decision yet — not just on when, but whether to move the embassy. 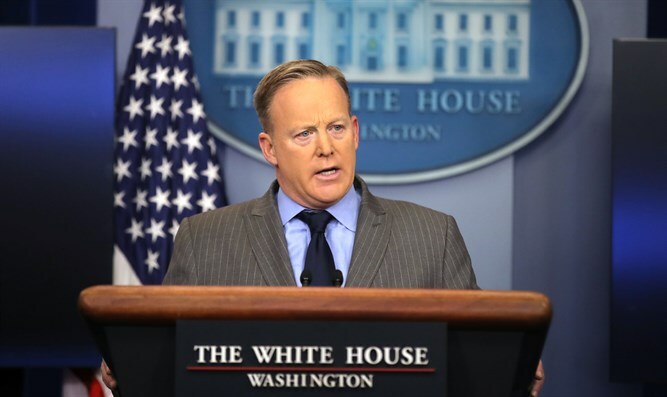 “If it was already a decision, we wouldn’t be going through the process,” Spicer said. The PA leadership has said in recent days that an embassy move could bury any vestiges of the peace process, which Trump has said he would like to advance. MSNBC reported Monday that Trump believes that advancing peace is a greater priority than moving the embassy. Jordan, a close U.S. ally, has also warned that the move could destabilize the region. Congress in 1995 passed a law mandating a move to Jerusalem, but allowed presidents to waive it every six months for national security reasons; successive presidents have done so. Trump would need to issue a waiver by the end of May if he chooses not to move the embassy.